A baby Groot figurine moved by a single motor. Free building instructions available. Following my moderately successful Lego Ideas Dwarf Hamster figurine project, I wanted to try something more advanced and more recognizable. I found inspiration in form of motorized toys featuring dancing baby Groot from the Guardians of the Galaxy movie and I wanted to submit it to Lego Ideas program around the time of the Guardians of the Galaxy Vol. 2’s release. 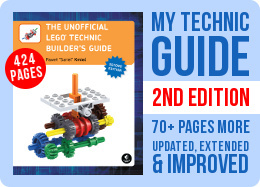 Unfortunately, back in April 2017 Lego has added a new rule to the Ideas guidelines, one saying that any submissions using third-party licenses that are in the Lego’s current portfolio (meaning Guardians of the Galaxy and pretty much anything from Marvel) will no longer be accepted. 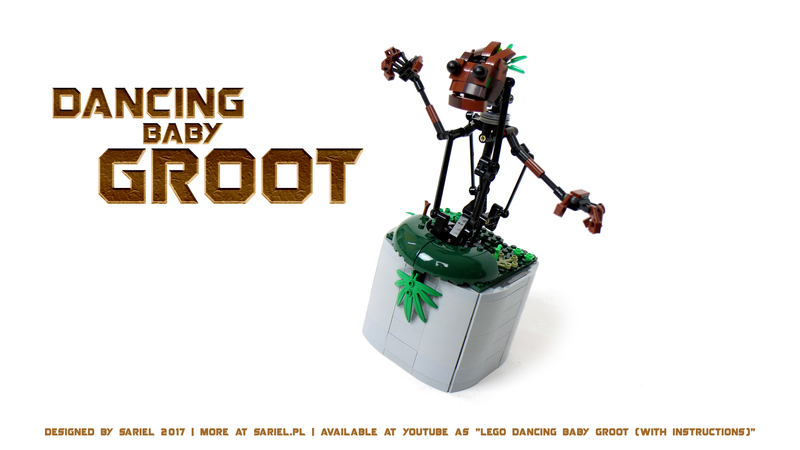 This has pretty much killed my idea, but I’ve decided to finish building it anyway, and also created free building instructions for anyone wanting their own dancing Groot. Free building instructions for this creation are available here. The figurine was operated by a single PF M motor driving two crankshafts (one is geared down, so that their speeds don’t match) which pushed on four levers that move various body parts – namely the left arm, the right arm, the upper torso and the head. The mechanism relied on gravity pushing the levers back down when the figurine was standing upright. 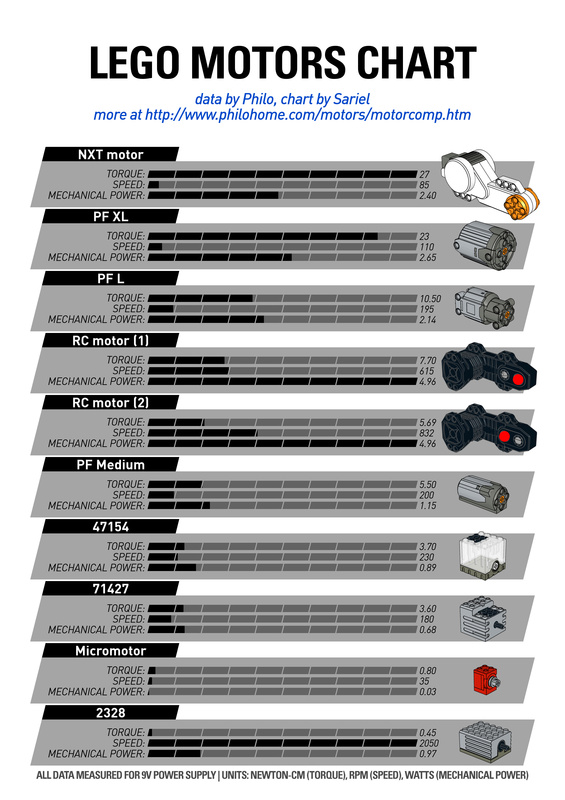 There was no control mechanism other that the switch on the PF battery box, which was modified so that only on/off positions are available rather than usual on/off/on. A rubber band was used to drive the crankshafts, which also acted as a safety clutch, so the motor could run even if some part of the figurine became blocked. The figurine moved in a rather jerky manner, which would be probably smoother if the rubber band was replaced by a chain (thus reducing any slippage). But I was so disheartened after learning that my idea is no longer fit for Lego Ideas, that I simply wanted this creation to be finished, and I didn’t care about its operation or appearance as much as I should have.